Sign in for member pricing. Hi There. Your Member Price will be Displayed at Checkout. More about iittala Toikka Summer Grouse Iittala’s Summer Grouse, designed by Finnish artist Oiva Toikka, is truly unique. A raised, chocolate-colored spiral, beginning at the top of its head and ending at the base of the bird creates an ornamental plumage of oranges, yellows and grays. The grouse is shaped like a tear drop, with a small head, delicate beak, and subtle tail. 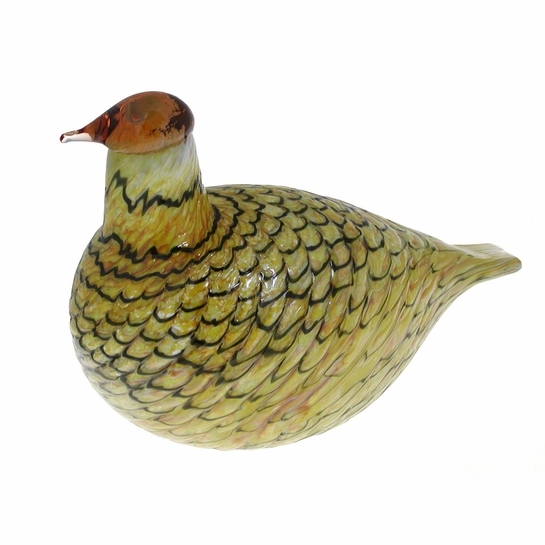 A proud, attractive bird, this textured, hand-blown creation is stunning and festive. It is a similar and smaller version of the limited-edition Sleeping Summer Grouse.For over 30 years, renowned Finnish designer, Oiva Toikka, has astounded us with his glass-blown creations. For 2006, Toikka has developed a diverse range of beautiful birds; from a small, inquisitive barn owl, to a regal and stoic heron, he spans the gamut of the avian imagination and never ceases to amaze us with his creative talents. 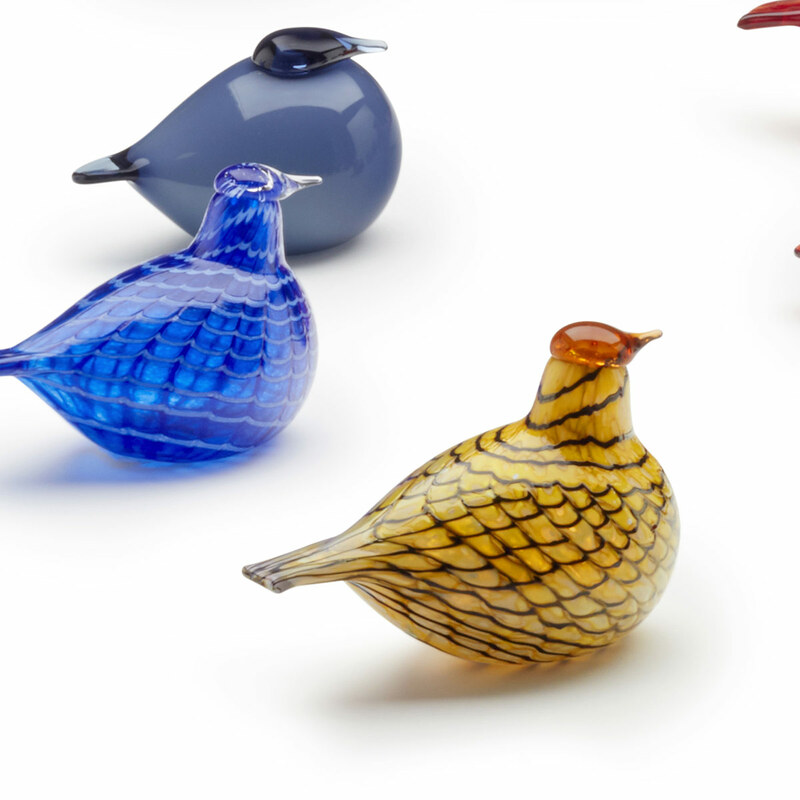 Toikka's birds are perfect as gifts or in beginning-- or adding to-- your glass bird collection.